A two hour bus ride from Edfu brought us to Luxor, the capital of the Middle and New kingdoms and one of the most visited cities in Egypt. Luxor has enough things to offer to occupy a week long itinerary, and the two half days we had allocated for the city was woefully inadequate. It was just about enough to cover the absolute must sees and get an overall picture of the place. Luxor temple, built by Amenophis III and Ramesis II, was our first stop, thanks to the strange museum timings which keeps them closed during the hottest times of the day. The temple was the home of Amun's consort Mut and his son Khonsu while Amun, the greatest God of the region resided in the nearby Karnak. 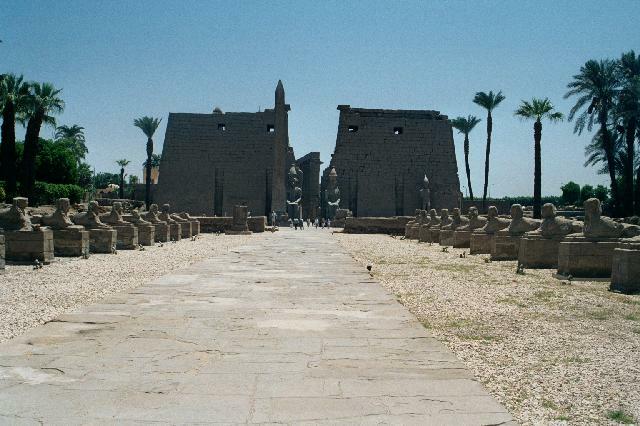 The famous Opet festival started at Karnak and ended at the Luxor temple. 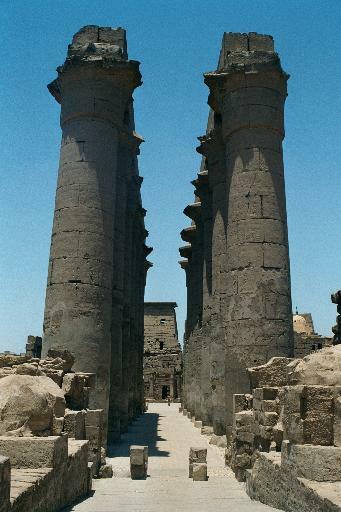 The courtyards of Amenophis III and Ramesis II were the most impressive part of the temple. Compared to the Luxor temple, Karnak is a monumental megalith built over 1300 years starting with Sesostris I's XII dynasty core. Without the service of a guide it is easy to get lost in the 100 acres of Karnak ruins - large enough to house 10 great cathedrals. Highlight of the temple are the unbelievable 6000 sqm hypostyle hall housing 134 columns 15 to 23m high, the ram headed avenue of the sphinxes, queen Hatshepsut's well preserved obelisk, her wall showing the scars of the earliest political vandalism when her step son, Tuthmosis III, destroyed all her images. Although the sound and light show gave us the opportunity to come back and see the complex by night, we all felt that it was too boring to sit through. Apart from visiting the temple we also had enough time on the first afternoon to squeeze in two of the best museums in the city - the Luxor Museum and the Mummification Museum. 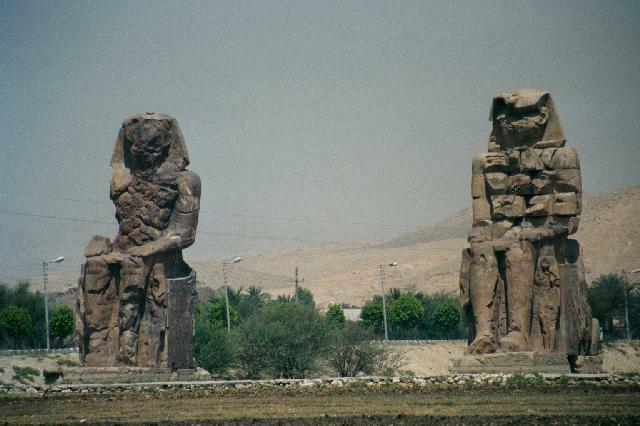 Luxor museum houses one of the best sculptures of the country and more importantly is small enough not to intimidate the visitor by its sheer volume. The beautiful statues of Amenophis III and the recreated walls from the Amarna period stand out among the exhibits. The mummification museum is even smaller; but is big enough to give one an overall picture of the ancient mummification process. The next morning we took a 3 hour donkey ride - which proved how wrong I was to criticise the camel ride in Aswan - to the Valley of the Kings. Fearing that the conspicuous pyramids are an open invitation for the tomb robbers, the pharaohs starting from Tuthmosis I had their tombs cut inside the arid Thebean hills. 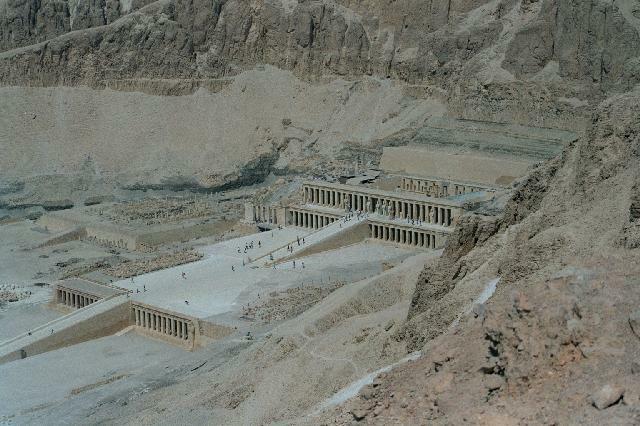 The fact remains that all the tombs except a tiny one belonging to king Tutankhamun were stripped bare of its treasures. Despite that, the intricate drawings, the inscriptions and the decorations inside these long shaft like tombs make them truly priceless. We visited the unfinished tomb of Ramesis XI, unfinished due to the untimely death of the pharaoh, the tomb of Ramesis III, the grandest tomb then open to public and the tomb of Merneptah, the tomb of the biblical pharaoh. 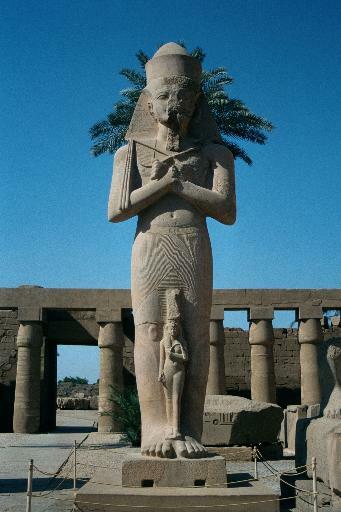 One can only wonder at the wealth of talent the pharaohs had at their disposal. The only thing I never understood is why the artists chose to portray all human figures in one standard posture - all parts of the body in profile except the upper torso which was in front view - that too the most difficult one to pose! After the tomb visits, we had just enough time to ride past the hauntingly beautiful mortuary temple of Hatshepsut, the sheer beauty of which should have prevented her step son from destroying it, the famous Ramesseum, the subject of Shelly's Ozymandias and the Colossi of Memnon, two 20m statues of Amenophis III wrongly attributed by the Greeks to the Trojan hero, before scrambling to catch the convoy to Hurghada. Click here for more photos from the Luxor.